Pavol Barabáš (1959) is the author of a large-scale of mountain-oriented and adventure films about peoples' survival in extreme conditions. His films were shot in inaccessible wilderness, on wild rivers and glacial peaks, as well as in deep caves far away from civilization. He likes to look for stories the heroes of which go beyond their limits. He is fascinated by encounters with different cultures and he is mostly attracted by the territories of Tibetan Buddhism, as well as the lands of natural people hidden deep in the jungle. His films present the manner in which man should treat the Earth. They emit love and respect for nature, enormous mental power and moral conscience. He has accomplished several ground-breaking expeditions, from the discovery of Stone Age people untouched by civilization in the rainforests of New Guinea, through the co-discovery of a mega-cave on the Chimantá plateau, to the first transit of the Ellsworth Mountains in Antarctica. 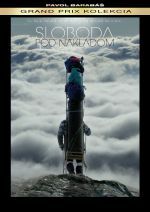 His documentaries about the Slovak mountains also belong among those that are extremely viewer-attractive. His films have been awarded with more than 300 national as well as international prizes. He is a holder of the prestigious Grand Prize from the International Alliance for Mountain Film as gratitude to the filmmakers, directors and producers who have contributed throughout their careers – through loyalty and dedication, and with little regard for personal profit — to the evolution of mountain film into the prominent genre that it is today. Pavol Barabáš is one of the most popular Slovakian film directors. He is the man behind a wide range of mountain and adventure films involving people in extreme conditions. He has filmed in remote wildernesses, deep caves far from civilisation and on raging rivers and ice peaks. His films radiate love and respect for nature, an enormous mental power and moral awareness. He has been awarded more than 190 national and international awards. The basis for his choice of themes and journeys is his own imagination and the achievements his friends that are worth recording. While people penetrate various mysterious corners of the world in his film shoots, he spends much of his time hidden in a studio editing or writing scenes for the films he carries in his head. His thoughts constantly transport him to the corners of the world from which he has just returned. Pavol Barabáš has been part of several expeditions ranging from the discovery of an unknown tribe of Stone Age people in Papua New Guinea to the co-discovery of a mega cave in the Chimanta Table Mountains and participation in the first traverse of the Ellsworth Mountains in Antarctica. He has experienced many unforgettable moments during his travels which he attempts to portray in his films. When he met the tree people of the Kombai tribe in Papua New Guinea they considered him an intruder. He pointed his film camera at them - something they had never seen before - until a furious aborigine smashed it out of his hands. 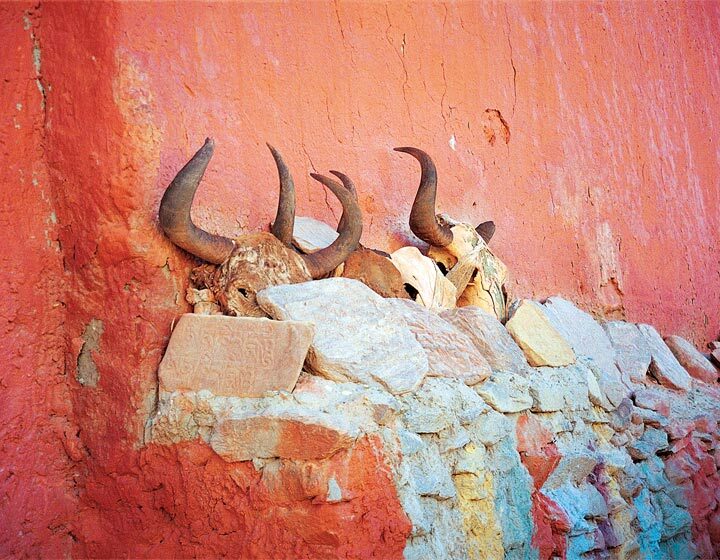 Pavol Barabáš would not go to such places without his film camera and no one would believe that there are parts of the world where people still live in the Stone Age. “We ate with them, slept next to them in their tree huts and behaved so as not to leave any visible trace of ourselves. Which is easy to say but harder to achieve. The Kombai eat everything that moves - rats, termites, snakes, worms... and to refuse food is an insult. They are an incredibly proud people. They did not want anything from us, they do not need our civilisation, and we have nothing to offer them besides perhaps medicine for tropical illnesses.” There, in the Papua New Guinean primeval forest, he got to know a world that people thought was nonexistent. He recorded his testimony in the adventure documentary Pururambo’. Pavol Barabáš has had a similar experience in Africa. Accompanied by five friends he undertook a thousand kilometer-long sail along the wild River Omo in the southern part of Ethiopia. It was only possible to overcome the region’s natural barriers by travelling on the water and so he spent a month sailing on a raft in order to reach the native tribes. “We found native people and tribes about whom the surrounding world then had no clue. We felt like the first explorers of Africa,” he recollects of the feelings captured by his film camera. “We weren’t aware of many dangers, we did not know about them. We haven’t been turned off by dangerous hippopotamuses and crocodiles, by exhausting heat, tsetse flies or by worrying about malaria, which all of us had had to fight off when we got back from Africa. It was shocking to see that the only thing that the local tribes needed from our civilisation was a Kalashnikov rifle. The reason being that it could be exchanged for cows”. A journey to Mt. 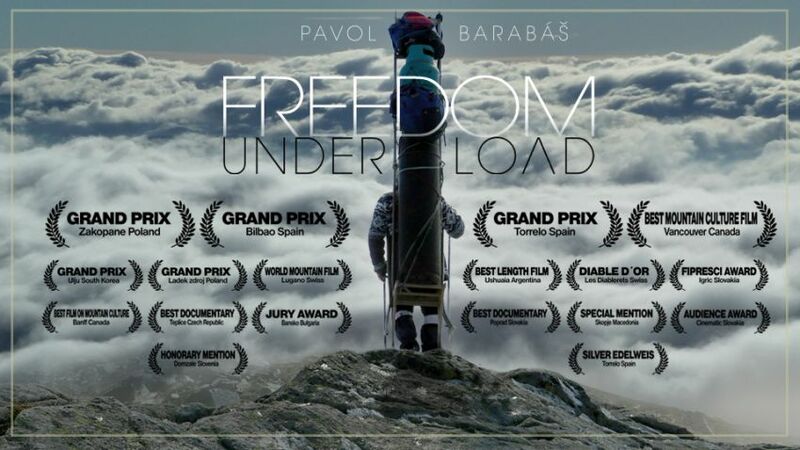 Vinson - a peak that he climbed accompanied by the polar explorer Peter Valušiak to shoot his film The Unknown Antarctica’ - was an indescribable experience for Pavel Barabáš. “I admit I didn’t feel like going there at all. I was seriously worried as to whether I could survive in such conditions, let alone shoot a film”. The traverse of the Ellsworth Mountains in Antarctica was one of his most powerful experiences. Over past years Pavol Barabáš has stood upon the highest peaks of all the continents but he proudly claims that “nothing compares with the Slovak Tatras”. That is why he has also devoted as many as three of his films to them. To date, they are chronicles of great experiences for him. In company with Tomáš Hulík, a cameraman, he filmed the documentary The High Tatras - A Wilderness Frozen in Time’ on the life of people and animals in the smallest Alps. “The more I travel, the gladder I am to return to Slovakia. To me, it is a country full of miracles, passion and humility,” states Pavol.